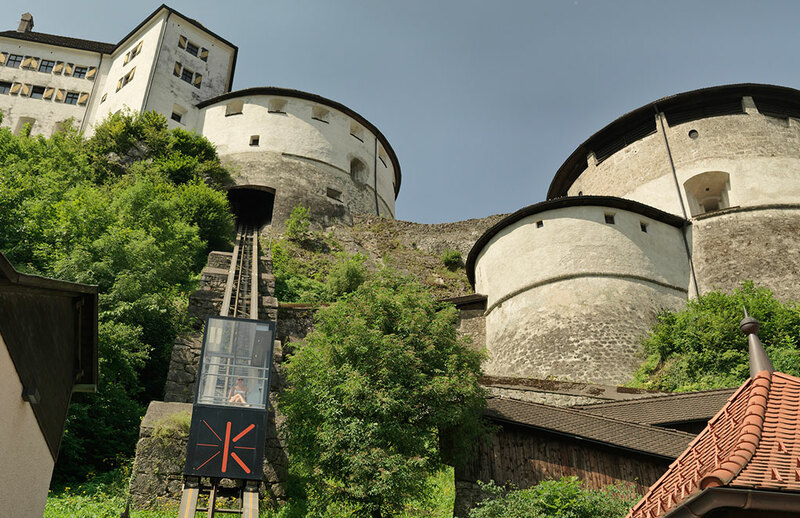 Morning: After breakfast head to Kufstein to explore the fortress. Kufstein provides plenty of parking spaces in the town centre (cost, around € 1/hour) e.g. Altstadt Garage, Inntalcenter, Kufstein Galleries. The climb to the medieval venue is at Unterer Stadtplatz, next to the parish church and the townhall/municipal office. (TIP: the tourist offices of Ferienland Kufstein are also on Unterer Stadtplatz and it is here that you can get all the information you need about our holiday region). Scale the fortress hill either on foot, or in comfort via the lift. As well as the various exhibits, like the torture chamber, there is also a restaurant. Lunch time: After you have explored the fortress, a stroll to Römerhofgasse is recommended. This is the oldest street in Kufstein. With its shops stocking the traditional clothing of this area, as well as restaurants, ‘souvenir hunters’ and those who are feeling peckish, are very well catered for here. Afternoon: bring your afternoon to a close with a leisurely stroll on the Inn promenade. For those of you have enough energy left over we recommend a trip to the motovity park (car parking: Pienzenauerstraße). This outdoor exercise park was refurbished in 2013 and provides lots of sports training equipment for young and old alike. There is also a playground for infants nearby. 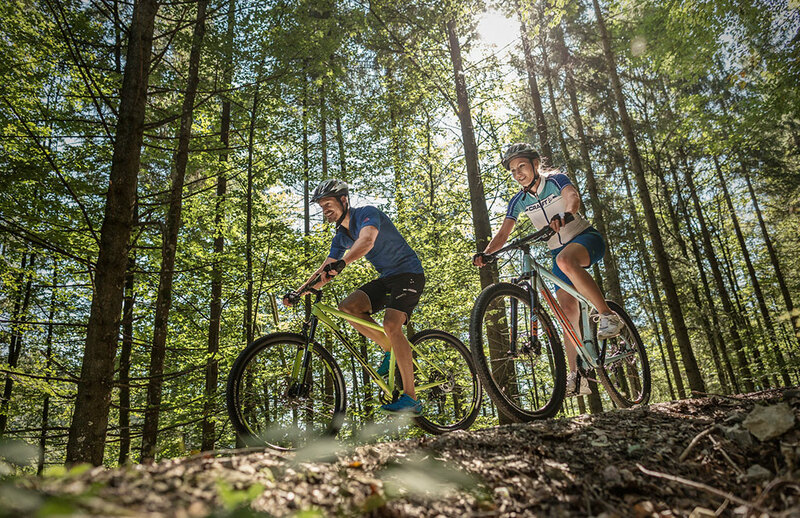 Morning: For those of you who have a thirst for a little bit of action, we recommend an excursion to Oberaudorf. This town is located directly on the border with Kufstein and exudes typical Bavarian hospitality. In Oberaudorf a chairlift takes you up to the Hocheck. There is a woodland high ropes course close to the intermediate station, and there are adult and children’s courses. Afternoon: Plenty of hiking trails along with a legends trail for children proceed along the intermediate station. 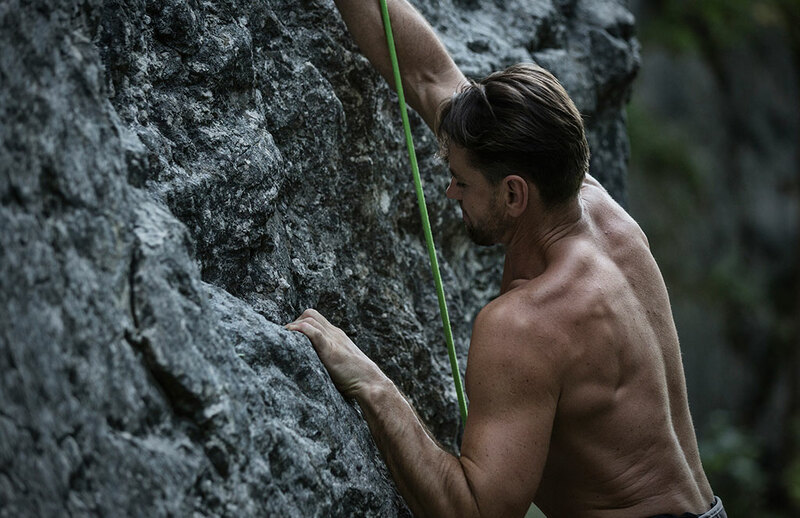 However, for those of you who are looking for another kick, we recommend heading to Hödenauersee. This is on the way back to Kufstein, right on the main road. There is a water ski and wakeboard lift there. 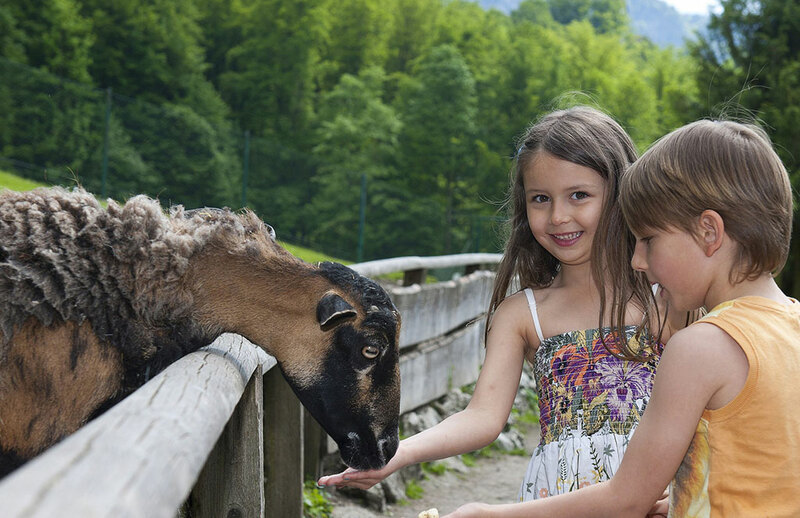 Morning: We advise those who want to experience an excursion with younger children to head for Walchsee. 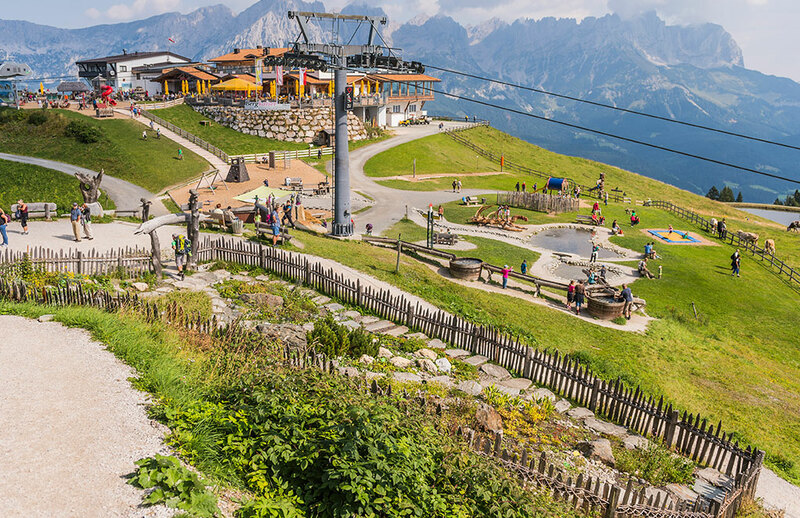 In Durchholzen there is a large summer toboggan run (with two parallel runs) along with an animal enclosure for goats and stags – who also like to be fed. There is a large play area there too. Afternoon: When the weather is warm enough for swimming you definitely ought to pack up your bathing togs and head to nearby Walchsee. Boats are also available to hire here. Hiking fans really get their money’s worth in the region around Thiersee. For beginners through to advanced level hikers there are routes and mountain peaks to scale. We are happy to provide advice to suit your needs as to which hiking route suits your need. Just ask us after breakfast!!! Morning: Want to stay optimistic and know what is the best activity to do when the weather is bad? SHOPPING!!! The shopping city in this area is Wörgl – in Bahnhofsstraße you can stroll in leisurely fashion from shop to shop or head for M4. This is the shopping centre which has a cinema and bowling alley. Afternoon: In Wörgl there is ‘Wörgler Wasserwelten (=Wave)’, where, as well as the world’s first looping slide (L2), there is a luxury swimming pool, a strong salt water pool, a sauna area and an outdoor pool – something for everyone! Morning: When the weather is hot head into the mountains. Ellmi’s Magical World – with the ‘Zauberexpress’ young and old nature adventurers alike get to the Hartkaiser in just seven minutes. Here there is a 4000 m² play park which has a mysterious enchanting realm, inhabited by fairies, goblins, woodland spirits and the magic frog ‘Ellmi’. 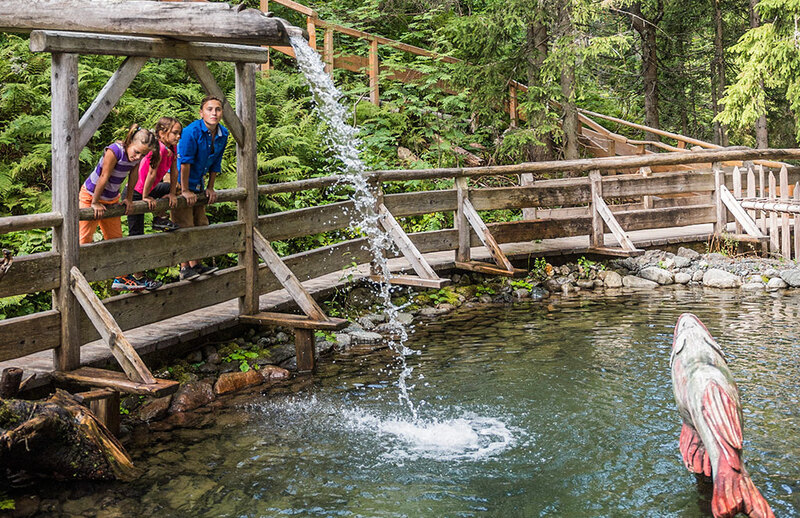 Other great places include the woodcutter’s lodge, the petting zoo, a climbing castle playground, a maze, a 15 m water jet, a magical rain forest and the treetop trail. There are so many new features on the Rübezahl hiking trail which has over 22 wooden figures. Also on the new ‘Jägersteig’ which has adventure-packed stations there are ‘mushroomy’ and ‘wild’ things to discover. Enjoy the power of the mountains and the breath-taking backdrop on the sun terrace of the Bergkaiser panorama restaurant! 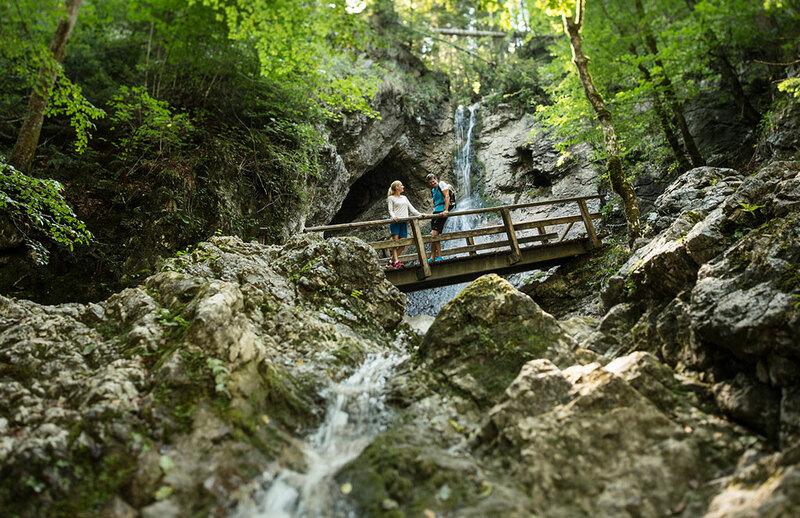 Afternoon: A trip to Kaiserbad Ellmau is a great idea for young and old alike when the weather is suitable for swimming. A large indoor pool which has numerous slides, two swimming pools outdoors with Jacuzzi bath, a large pool for children and a cool small swimming area provide plenty of space for cooling off. There is also a huge children’s play area and a beach volleyball areas.